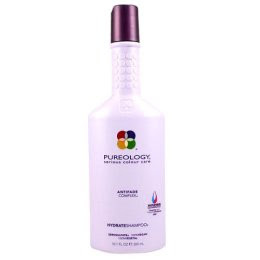 PureOlogy is the most fantastic thing to happen to me every morning. It leaves my hair feeling like I just stepped out of the salon and I've never received more compliments regarding the smell and appearance of my hair. It's fantastic! It cools on your head when you apply the conditioner. I currently use the HydrateSystem products (purple) as well as the ShineMax product which is applied to my wet hair before drying. It helps seal the end and give my hair a shine factor that it is seriously missing. I currently do not have color-treated hair, however I still find that this product offers me much more than my previous hair cair products. Check it out - you won't be disappointed!